The data center infrastructure is central to the overall IT architecture. It is where most business-critical applications are hosted and various types of services are provided to the business. Proper planning of the data center infrastructure design is critical, and performance, resiliency, and scalability need to be carefully considered. Another important aspect of the data center design is the flexibility to quickly deploy and support new services. Designing a flexible architecture that can support new applications in a short time frame can result in a significant competitive advantage. 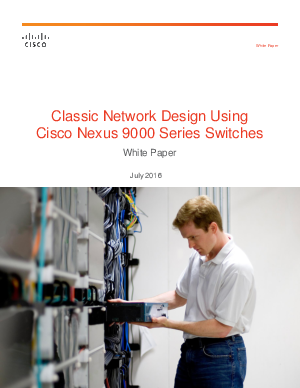 The basic data center network design is based on a proven layered approach that has been tested and improved over the past several years in some of the largest data center implementations in the world. The layered approach is the foundation of a data center design that seeks to improve scalability, performance, flexibility, resiliency, and maintenance.